Picture provided by Glenda Gray. 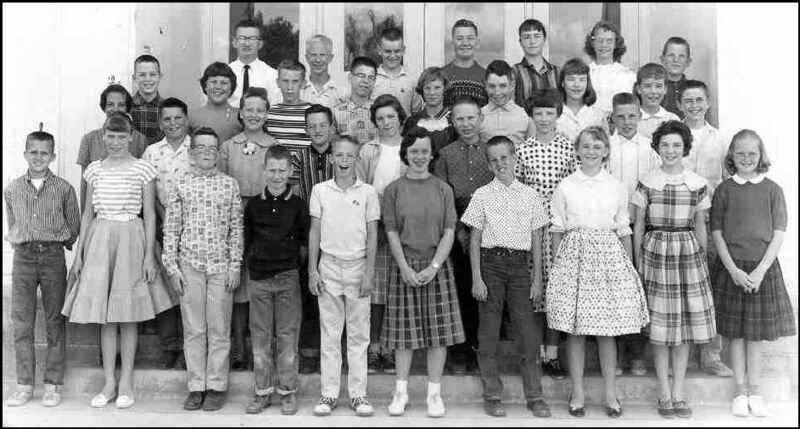 BACK ROW: 1.Mr.Wendt, 2.BradPugh, 3.RudyFranz, 4.LarryMurphy, 5.JeanLove, 6.NoraSzulinski, 7.TommyFoote. THIRD ROW: 1.JohnHeffner, 2.SusanBixler, 3.DaleGriggs, 4.ValkairLambert, 5.LinneaGates, 6.WilliamMcCarthy, 7.DeidreMagula, 8.CarolPeterson. SECOND ROW: 1.MargaretCarter, 2.HarryManolopolous, 3.BeckyRulon, 4.GregSpencer, 5.KathyKenner, 6.GaryHylbak, 7.TeriPlatt, 8.DavidZweifel, 9.CharlesJerman. FRONT ROW: 1.JohnGalbraith, 2.PaulaPershall, 3.BobbyBrowne, 4.MikeMcKever, 5.ChrisFouts, 6.GlendaGray, 7.TimMeeker, 8.DianeHuff, 9.JoanBelliston, 10.ArdithTalbot. E-mail the webmaster with row and # if you have any corrections.